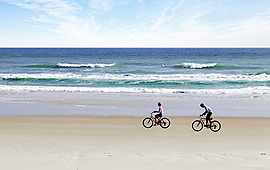 With more than twenty miles of beaches, St. Augustine is the perfect place to rent a piece of oceanfront paradise. 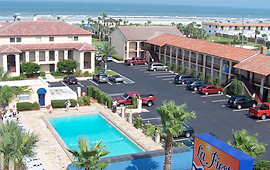 Choose from a variety of home-away-from-home accommodations....just steps from St. Augustine Beach. 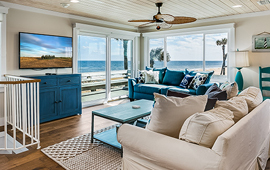 'Our Beach House' is two-level featuring a deck, 'Our Beach Cottage' is single story beach living, and 'Our Beach Bungalow' is the perfect beach hide-away. All of our accommodations are comfortable, homey, and fully furnished. 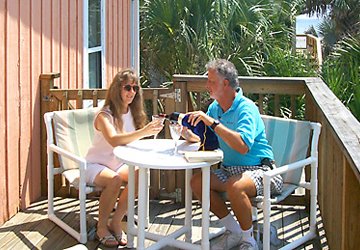 Relax on the beach, dine in one of the many restaurants, explore the shops, or indulge in the many near-by activities. Also enjoy many of the guest amenities of the St. Francis Inn, a historic bed and breakfast, located just 6 miles away in old St. Augustine. 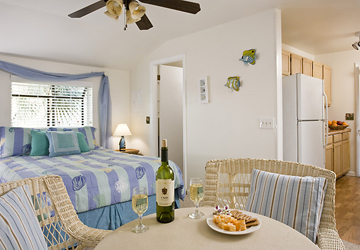 Many of our beachfront rental homes offer a degree of privacy that simply cannot be matched by other resorts. Bring everyone together under one roof for a wedding, family reunion or corporate retreat in a dazzling vacation rental home with gorgeous ocean views and just a few short steps from the powdery white sand. 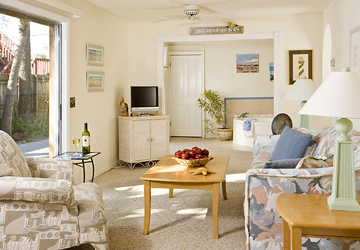 You could opt for one of the smaller oceanfront rentals to provide a home away from home during a small family vacation or a very private and very romantic getaway for two. Browse through our listings for properties either on the ocean or just a short walk from the sandy shores. 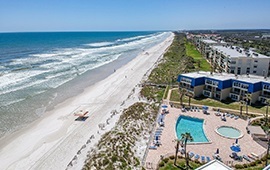 Discover the best condominium resort on the beach! Our forty acre resort is quietly nestled within a secluded, unspoiled refuge, overlooking a legendary beach surrounded by white sand beaches, breathtaking views and a variety of accommodations. Families of all sizes will enjoy the relaxed comforts of an inviting home away from home. Plan your stay today and return home with memories that last a lifetime! The best of both worlds: This oceanfront cottage is a sister inn to the Bayfront Marin House, located in downtown St. Augustine. Stay on Vilano beach, with a reserved parking spot in the historic district for your trips to town. Or take the new water taxi and enjoy breakfast and happy hour on the bayfront. We look forward to seeing you! We're All About The Beach! Our oceanfront property provides direct access to our pristine white sandy beach and the ocean from four private walkovers. Enjoy fishing, surfing, sunbathing, or beachcombing. 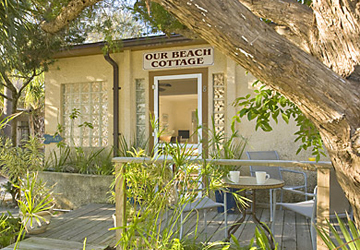 Our secluded beach retreat is just a few miles from Historic St. Augustine and popular attractions. It's all at your fingertips here at Summerhouse. Truly the perfect place to be! 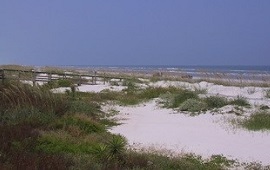 Leave your troubles behind...relax in the sun and gorgeous white sands of Crescent Beach. 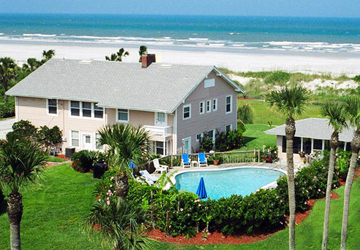 Just south of historic St. Augustine, The Silver Sands feels like your own private tropical escape. 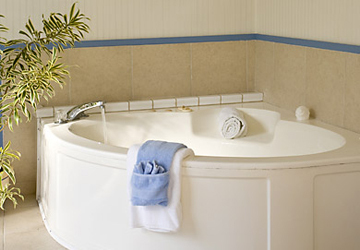 Come stay in one of our newly-renovated suites or cottages. Kitchenettes in some units, full kitchens in others. Direct beach access. Pet-friendly units available. Wireless internet. HD TV with Netflix and cable. Sunrises from your ocean view unit will awaken you when you stay with us. 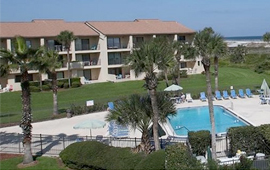 Our vacation rentals are located directly on the ocean and minutes from historic downtown St. Augustine. Lounge by our large oceanfront pool or walk just four steps and you're on the white sandy beaches to relax and enjoy. Many amenities and priceless memories will keep you coming back! 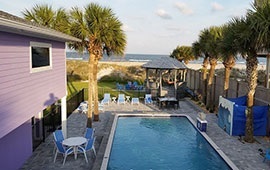 Built in 1936, Blue Dolphin Cottage is a charming oceanfront house, with a private pool, situated on the non-driving section of St. Augustine Beach. 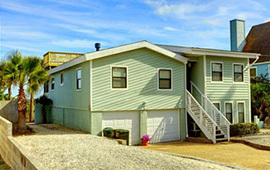 The 4-bedroom/3-bathroom dog-friendly rental has plenty of onsite parking. 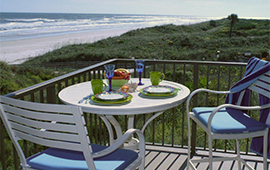 Grill on our wraparound deck with views of the pool and the Atlantic Ocean. The property is managed by the owner. Stay on oceanfront not streets away! 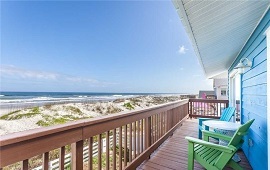 Oceanfront on beautiful St. Augustine Beach and exclusively for grown ups. 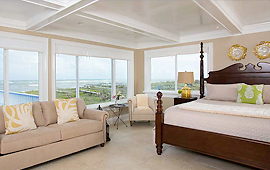 Beautiful rooms and suites featuring: elegant linens, refrigerator and private bathroom. Delicious morning breakfasts overlooking the ocean. Enjoy our oceanfront pool & Jacuzzi, wide, sandy beach and lush landscaping. AAA 3 diamond rating. Historic area is only 10 minutes. Oceanfront on beautiful St. Augustine Beach. 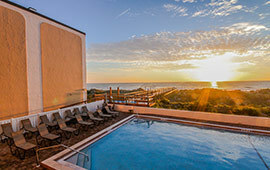 Oceanview rooms, 2-level suites with fireplaces and Jacuzzis and pool rooms all with delivered breakfast. Walk on the beach; enjoy our large heated swimming pool, and our award winning gardens & fountains. Private access to the beach. Historic area is only 10 minutes. AAA diamond rating. 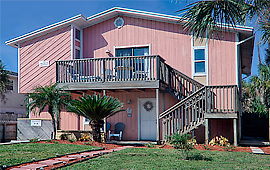 The Love Shack offers an oceanfront pool vacation rental for a large family or couples getaway?! This home has five King Master Suites plus 2 Queen pullout sofas, accommodating 14. Head to the beach on our private walkway. Jump in our salt water pool. Watch the sunrise from the deck or granite covered bar. We’ve got it all! 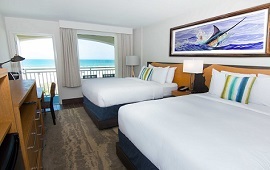 Oceanfront, ocean view or poolside...which sounds like your perfect vacation spot? 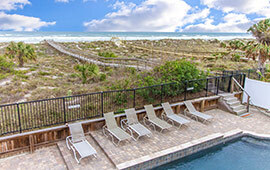 From romantic honeymoons to corporate retreats, Resort Rentals specializes in a variety of vacation rentals. Visit our website to check on the possibilities, then call us for that personal touch in selecting a condo that is just right for you! 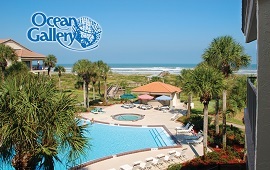 Tranquil Dunes vacation condominium is a 2BR 2BA home located in award winning St Augustine Ocean and Racquet Resort. Just steps from pristine St Augustine Beach, this charming ground floor home is perfect for couples, families, and retirees. Find out more and reserve your special place in St Augustine today.